Hats off to this 15 year old Dayita Wable, a girl of Indian Origin residing in Tampa, Florida, USA. She is in India on a holiday with her grand parents. 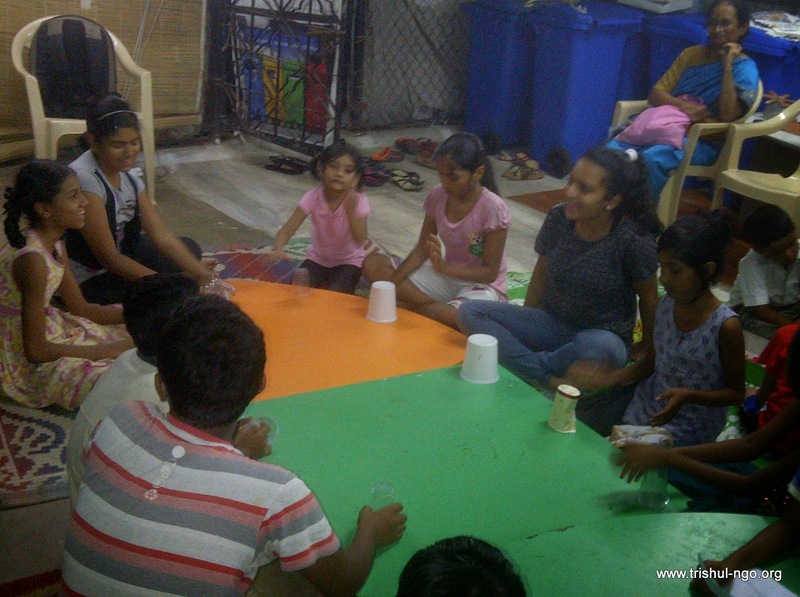 She is volunteering with TRISHUL for "Trishul Learning Centre Project" as a part of her community service. Her whole hearten selfless dedication to do something for needy is highly appreciable. She has done a marvelous work for Trishul Kids, who have become her big fan in just a matter of few days. And they are going to miss her when she is gone back to US, as says the words in the song she has taught them. Below, learning with Songs Workshop at Trishul Learning Centre in progress.